More than one thousand years before Luke Skywalker, the galaxy experiences a dark age as an ineffectual Republic abandons entire systems to Sith control. On her first mission, eighteen-year-old Jedi Kerra Holt has joined a band of Jedi volunteers traveling behind enemy lines. 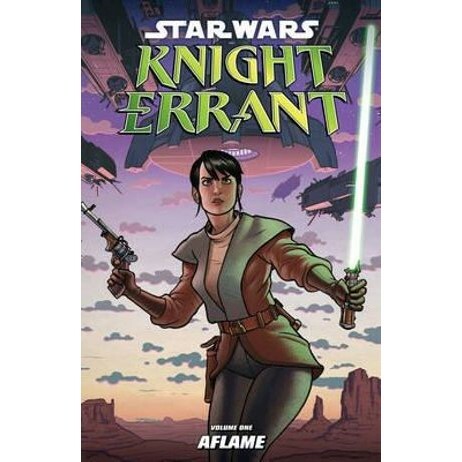 She thinks she is prepared for anything, but when the mission goes awry and she is left in Sith space without any support, Kerra realizes just how wrong she was. But she can't abandon the mission or the colony that the Jedi came to help. This Jedi foundling has her work cut out for her: she is alone, unprepared, without resources, and stuck in a battle between two warring Sith brothers, Lord Odion and Lord Daiman!